As far as I can tell the Red Tide and Green Machine are the only teams to see any action this weekend as heavy rains from the night before left fields unplayable. The matchup between the Tide and Machine was delayed until Sunday. Both teams worked several hours on Saturday in an attempt to make the field playable. Eventually it was deemed too dangerous to play and decided to pick it up on the day after. On Sunday, neither team could find a way to score a run in the first game until, in the third inning, the game was moved from Jon Herb to Pie Traynor since another team had a permit for Herb. After some human ingenuity at its finest, Pie Traynor was ready to be played on with some help from my pick up and a plank of wood with nails driven through it. Eventually the machine would score the only run of the game and win 1-0. The second game proved to be just as exciting but with more scoring. The highlight of the game was an inside the park grand slam to put the Machine up by four in the top of the 5th. The Tide responded with their own 4 runs and eventually won the game by scoring in the top of the 7th. Highlight for the Tide was in the top of the sixth when Martin threw a laser from center to gun down the go ahead run. Jesse crushed the ball on Sunday. I had two sacrifice bunts. 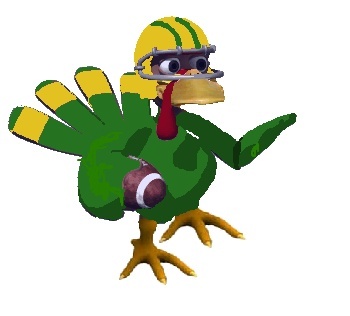 This is an early announcement of the famed Turkey Bowl to be held on Nov. 21. Everyone is invited as long as the Bulldogs don’t piss in my living room. More info to come later on.